The 2016 presidential election shook Americans to their core. Meet four women who decided to shake back: Alexandria Ocasio-Cortez, Paula Jean Swearingen, Cori Bush, and Amy Vilela. Each of these women run a grassroots campaign in their respective districts across America, experiencing the inspirational highs and frustrating lows of running for office. Through community canvasing, public rallies and publicized debates, these women share their deeply personal reasons as to what motivates them for getting into politics. Political campaigns have never been more uplifting. We often find ourselves affected by the environment, but have we ever considered just what sort of effect we have on the planet? Book ended by striking visuals of poached elephant tusks that have been seized and collected only to be set ablaze, this documentary chronicles humanity's devastating reengineering of the Earth, traveling the globe and visiting site after site of ecological destruction of epic proportions. Visually stunning as it is viscerally jaw-dropping. What do you think of when you hear the word "Satanist?" Whatever it is, this documentary will shed light on this controversial religion wrapped in black cloaks and the dark arts. Taking us inside the Satanic Temple, Hail Satan? learns about the motivations of co-founder Lucien Greaves, who pulled the infamous cult out of the shadows and into the political mainstream, evoking justice and defining religion constitutionally. Learning about Satanism through archived footage and a varied amount of talking heads, this documentary will have you second-guessing initial prejudices against the misunderstood organization. Meet John and Molly, a California couple who promised their rescued pet dog that they would build a life of purpose. That purpose was to live on a self-sustaining farm, growing a variety of crops and raising diverse livestock on 200 acres of dead soil and weed-ridden foliage. With the help of their kooky farmer friend Allen, this couple learn the ups and downs of building a life in the midst of nature, where coyotes, droughts, and pesky insects can attack at any random moment. Yet they learn that living in harmony with wildlife requires balance, and solve the many issues of running a farm with the help of Mother Nature. This documentary will pull you into their lives as if you're working alongside them every step of the way. Share April 17, 2019 • http://chrp.at/1qpD • Share on Facebook • Tweet This! 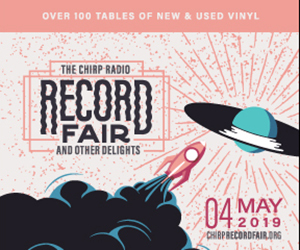 Join CHIRP at 8:00 PM this Wednesday, April 17th, at Martyrs' (3855 N. Lincoln Ave) for The First Time, a show that pairs a reader’s personal story about a specific "first time" -- a different "first" for each show -- with a song performance by The First Time Four. This week's theme? First Fling! CHIRP's e-conversation on cinema with Kevin Fullam and Clarence Ewing this week brings The Fourth Wall: Can you ever forgive me? Share April 15, 2019 • http://chrp.at/1qlp • Share on Facebook • Tweet This! 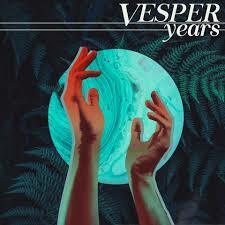 Chicago by way of Nashville duo Vesper have just released Years and to coincide with a new single are debuting a video directed by local product and current Los Angeles resident Ellie Pritts. Years has just been released on vinyl (with eight color variants) on Chicago’s own Shuga label, the record’s digital release is April 18, and the pair have a record release show at The Empty Bottle on Tuesday April 16 with Zigtebra and Big Syn also on the bill. Zachary and Samantha say they “met through an overlapping circle of friends and adoration of animals” and started collaborating on music soon after meeting. Both grew up in artistic households, with Zachary being the son of a songwriter and theater director and playing in what he describes as “awful punk band” Muckraker during high school and Samantha started performing in musical theater and taking ballet when she was five and eventually took guitar and piano lessons and learned other genres of dance. Share April 15, 2019 • http://chrp.at/1qlh • Share on Facebook • Tweet This! Kevin Fullam writesThe Fourth Wall: Can You Ever Forgive Me? Welcome to The Fourth Wall, CHIRP's e-conversation on cinema. This week's subject is the Melissa McCarthy movie Can you Ever Forgive Me? A little preamble here: when I was a kid, I was a huge comic-book geek. I may be a jaded cinemagoer today and thus nonplussed by the current wave of superhero movies, but I was a big-time Marvel Zombie from about 1984-90, enough so that I would frequent local comic-book shows to hunt down various back issues. The comics dealers would often sit side-by-side with sports memorabilia folks, and while I was also a baseball fan, the idea of collecting cards or autographs never seemed very appealing? To me, the entertainment value from a signature or card featuring a bunch of numbers on the back (which anyone could find elsewhere) paled mightily when compared with a tale about Spidey's latest exploits. While it was cool to have a comic "collection," it would've been meaningless to me without the stories therein. 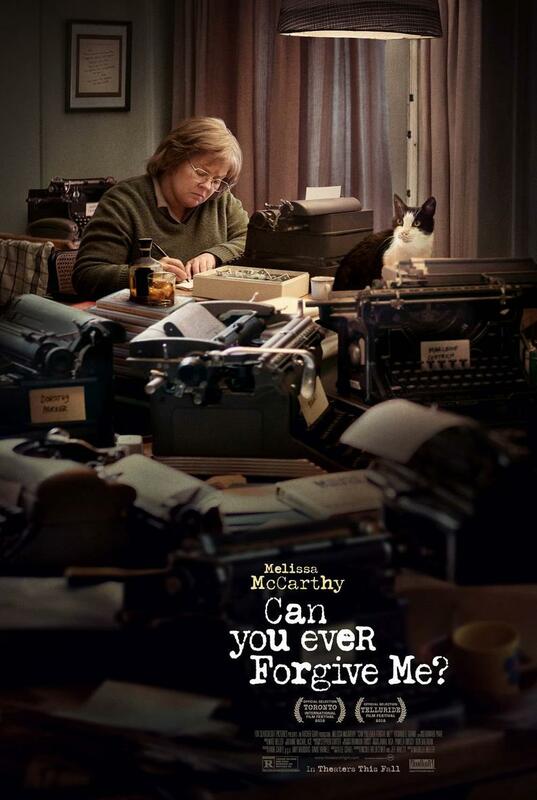 This takes me to Can You Ever Forgive Me?, the recent film about writer Lee Israel (Melissa McCarthy) and her forgery schemes of the 1990s. When the story opens, Israel is sitting just one step above "destitute" -- unemployed, months behind on her rent, and far removed from the days when her agent would promptly answer her calls. While doing research on 1920s entertainer Fanny Brice at the library, a personal letter from Ms. Brice slips out of a dusty old tome... and Israel soon finds out from her local bookseller that such celebrity correspondence is worth serious coin. What's more, the letters are even more valuable if they include a bit o' personal flair from their authors. So, whom would it harm if Israel tacked on a saucy line or two to embellish the note, right? Share April 12, 2019 • http://chrp.at/1qcC • Share on Facebook • Tweet This! Share April 10, 2019 • http://chrp.at/1q7n • Share on Facebook • Tweet This!